There’s nothing like the rising temperatures to uplift your mood and get you excited for spring, I mean it reached the 60’s here in Michigan which is a pretty big deal considering that it is still February. Though the fashion world is heavily focused on F/W 16 at the moment, I’m excited re-introduce my favorite color back into my wardrobe to welcome the spring season, blush. Now if you’ve been following Lil Miss JB Style for a while, which thank you by the way, you’ll know I’m a big fan of re-styling pieces. This is to show you that: 1) I am a real person, on a real budget, with real woman’s wardrobe, 2) you can maximize your closet using what you already own and 3) it’s perfectly acceptable to re-wear your clothes, I mean why else was the washing machine invented? 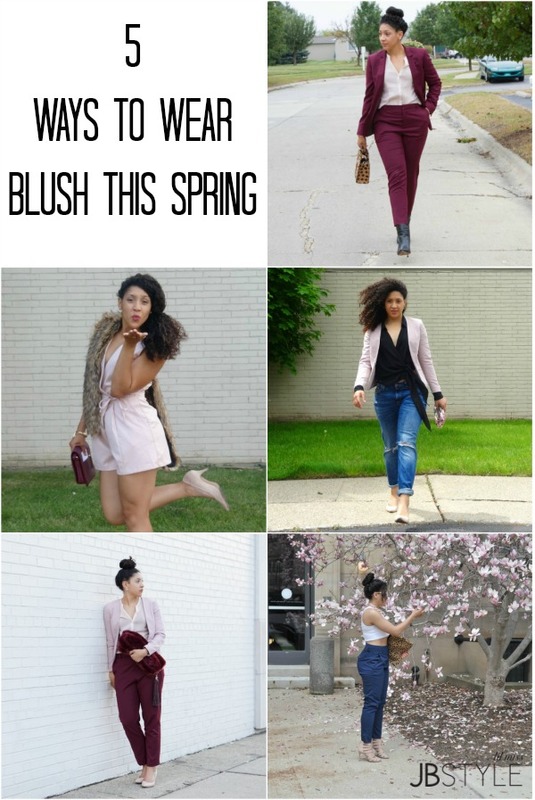 So in the spirit of the lovely weather I wanted to share with you guys 5 ways to wear blush this spring. So keep scrolling for some awesome blush inspired outfits and be sure to comment telling me which look was your favorite! 2. Rock a blush romper, jumpsuit or dress for an easy throw on and go outfit. 3. 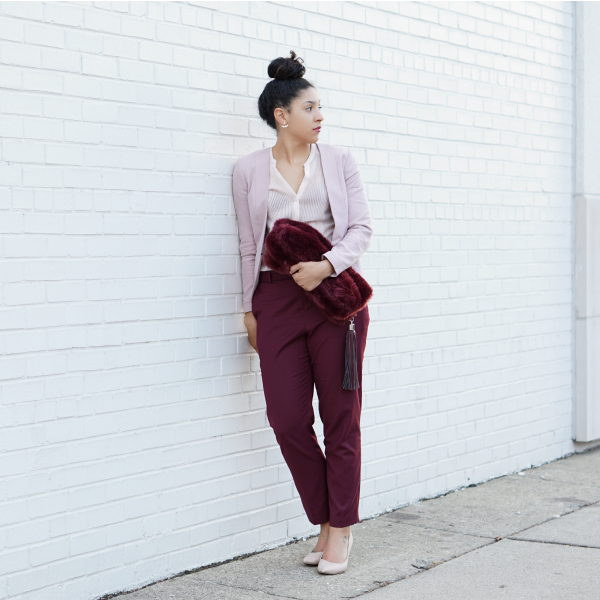 Rock a blush top with your suit to update your work wear. 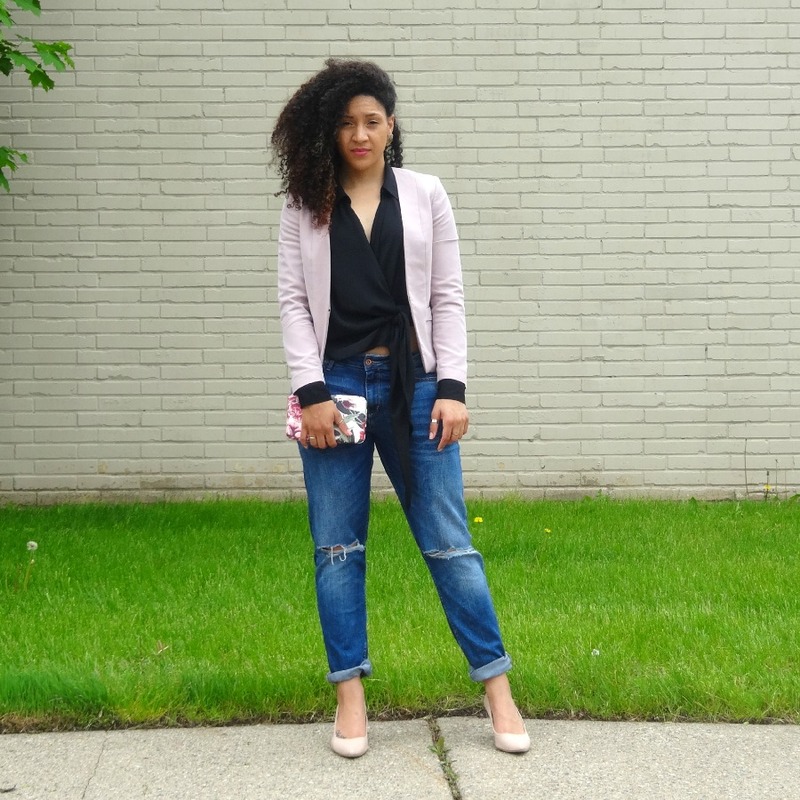 4.Top off a casual look with a blush blazer for a spring friendly look. 5. Accessories are an easy way to incorporate blush into your wardrobe. Struggling to get dressed? Why don’t you let me be your style guru? Sign-up to my e-mail list and get my Free eBook, exclusive style tips, service discounts and more bi-weekly! 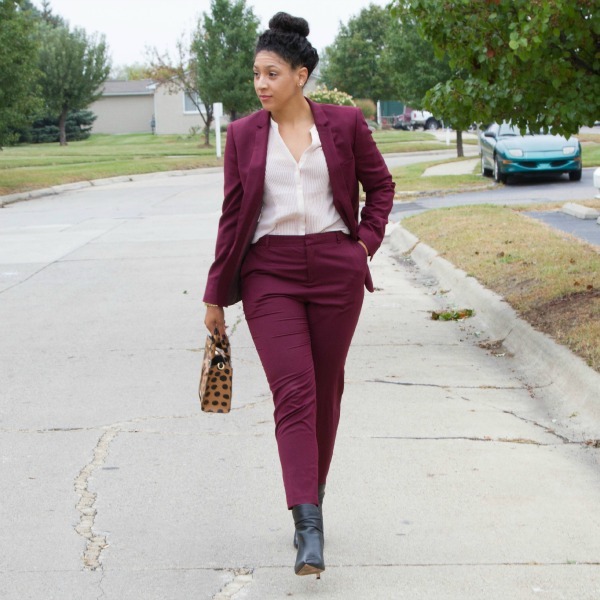 I have added a few blush pieces to my wardrobe this year, so really enjoyed the suggestions you showcased in this post. Love the burgundy and blush looks! Thanks for linking up with Fabulous Friday.